Hey everyone hope you all are having a wonderful Saturday! Today I would like to introduce you all to LucyAdelia from our breeding community. You can usually find Lucy in the groups or hanging out at an auction so when you see her give her a warm hello. I started out in SL as an adult about 7 yrs ago and got into breeding Amaretto and Kitty Cats. I came to SL when I had a work injury and was off work for a few months, broken shoulder and wrist and never left. I gave up the cats because i fell in love with horses. 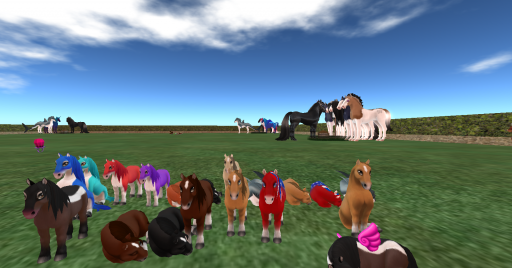 What special projects are you working on right now with your Amaretto Breedables? 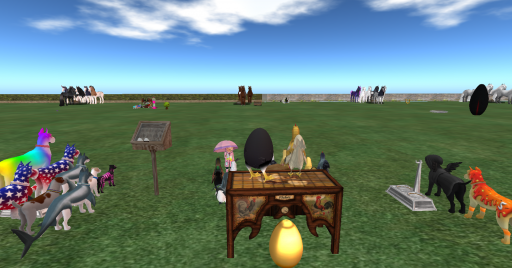 When not taking care of my breedables I can usually be found at auctions and doing my best to behave…. lol most the time that does not work. Thanks Lucy for taking the time to tell us a little more about yourself and especially for not answering any of my questions with “how bout nooooo”! Until next time this is Snookie hoping you all have a super Saturday!